This was just the first few hours of my typical workday. From the time the alarm went off to walking out the door in the morning, I would be in and out of the bathroom five to ten times. I have overactive bladder syndrome (OAB) paired with a smaller than normal bladder capacity, which is thought to be due to a congenital birth defect. For me, this means that I have to urinate, a lot, sometimes more than 30 to 40 times a day. I cannot tell you how many times well meaning friends or family members would ask me, “Can’t you just hold it?” Well, no. I physically can’t hold it because of my overactive bladder. I have dealt with these urinary conditions for more than 22 years. When I was 10, my mom took me to the doctor’s office because I was still a bed wetter. That was the first of hundreds and hundreds of appointments, office visits, and lab work. Some doctors said I would grow out of it, others said it was a psychological problem. I had my first cystoscopy at 19, where a doctor examined my urethra and bladder endoscopically with a microscopic camera. Not a comfortable procedure, but it was then that I was diagnosed with interstitial cystitis (IC). I know now that my bladder condition is more consistent with overactive bladder syndrome. My doctors tried to treat my condition with medications for several years. While a new drug might control the symptoms for a few months, the side effects were often horrible. At one point, I was losing my hair while still dealing with frequent urination and bladder pain. At a certain point, I just gave up and thought I would learn to live with my issues. For me that meant knowing that I would need to find a bathroom every 15 to 20 minutes. That meant that I would never sleep through the night. That going to a concert or the movies with my husband always meant an aisle seat, and I always missed most of the show. As a market developer at a healthcare company, I cover a large territory in Southern California. I love my job and am passionate about bringing great healthcare to local communities. Part of my job is meeting with team members at different offices, which means often driving from my office in the San Bernardino area up to Los Angeles. What should be a two-hour drive, can take me four hours. I could write an app rating the bathrooms from San Bernardino to Northridge along the 210 Freeway! Just a hint, Target and Starbucks always have the best bathrooms. Packing for a typical day at the office will mean making sure I have extra underwear, extra incontinence pads, a spare pair of nylons, baby wipes, perfume, and sometimes to be safe, an extra outfit. And my secret weapon, Febreze, in case I leaked in the car or in the office. See, I never know when I can have an accident, so I am prepared with everything I might need. Over time, I was exhausted by my overactive bladder condition. I was constantly worried about finding a bathroom, tired of the monthly bladder infections and worn out from trying new sets of medications. My bladder situation was affecting every aspect of my life, from my relationship with my husband to my work life. I was losing hope that I could ever have a normal life again. 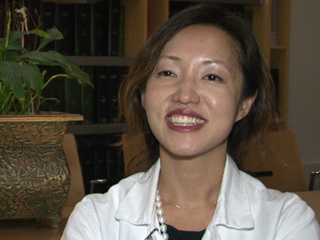 Dr. Kim talked about how my bladder issues could be treated three different ways. She explained how I could have a Botox procedure, but that it would need to be repeated every six months. I could have a reconstructive bladder procedure to make my bladder larger. Or I could try neuromodulation therapy by having a pacemaker-type procedure that would help regulate my bladder and urinary incontinence. Because of my age, she thought the pacemaker procedure would give me the best results and let me start living my life again. Walking out of that appointment was amazing. I had a solution and a road map to help me manage my bladder issues. For the first time in a long, long time, I was hopeful. Within days, Dr. Kim began performing all the tests needed for my procedure. The pacemaker procedure is completed in two phases. During the first procedure, the leads are placed and tested with me wearing an external pacemaker device, which is about the size of a cell phone. The leads deliver mild electrical pulses from the pacemaker to the sacral nerves that control my bladder. Over a three-day period, I worked with Dr. Kim and her team to calibrate the pacemaker so it was functioning at the optimal level. It was amazing; this was the first time I had been able to go more than two hours without having to rush to the bathroom. Suddenly, the solution we discussed seemed real. I had hope! After the testing was completed, I went back to Dr. Kim to have the Interstim device implanted internally on the lower part of my back. I am still healing from my procedure, but the difference has been life-changing. In just days, I have gone from having to urinate three to four times an hour to being able to wait two hours or more between bathroom breaks. Instead of getting up ten times a night, I just sleep. The other day I went shopping for new makeup at Sephora, and I didn’t have to stop in the middle and look for a bathroom. It isn’t easy to share this story. Let’s face it overactive bladder can be embarrassing, inconvenient, and incapacitating. But I wanted to let other people know what it means when someone says they have interstitial cystitis or overactive bladder. Today, I can’t wait to start living without worrying about finding a bathroom. I can travel again, start running marathons, and simply sit through a movie while holding my husband’s hand. 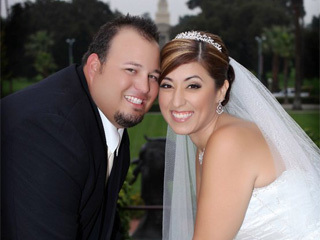 Michelle Candelaria is a busy healthcare professional, wife, daughter, and dog lover who lives in Southern California. The Department of Urology at UCLA is one of the most progressive and comprehensive urology programs in the country. 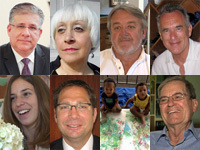 Our faculty members work side by side with research scientists for new cures and treatments for overactive bladder syndrome.